Soundcloud has finally made peace with the music industry, as it has signed a deal with Sony to officially pay royalties and legally host music from the label on its platforms. This fills in the last missing link, as the company has previously already signed deals with the other two major labels, Warner and Universal, as well as a body which represents 20,000 independent labels. 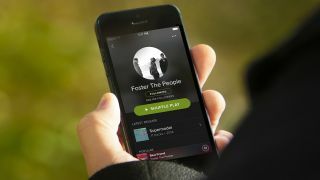 According to Music Business Worldwide, this paves the way towards the company launching its own music subscription service, potentially putting it on a collision course with the likes of Spotify, Tidal and Apple Music. As part of the deal, Sony will be taking an equity stake in the company, similar to the stake it already has in Spotify. Speaking of which, it has emerged that Spotify has also been busy pacifying the music industry too. The current King of the streaming services has agreed with the National Music Publishers Association to pay up $21m of previously unpaid royalties, dating back as far as when Spotify began. The Verge reports that the hope is that the deal will placate the industry, which had been previously demanding $150m in damages following unpaid royalties. In addition to the payout, Spotify will also be setting up a special website for artists, which will give them three months to claim their royalties. If they don't, their share of the cash is divided up between everyone else. Both stories are significant, as they point towards another step in the maturity of the streaming market. As streaming increasingly becomes the dominant way that people consume music, then ensuring that everyone gets paid is important. And Spotify and Soundcloud know that sorting these issues out now will save even more pain in the future.